There is always something exciting happening at Hard Rock Cafe Lagos! From local live music to special offers, our Event Calendar is a great way to get the insider scoop and first look at upcoming happenings. 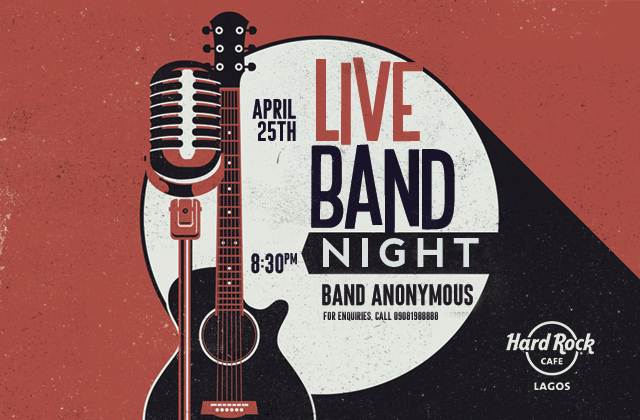 Enjoy live music performed by Band Anonymous. 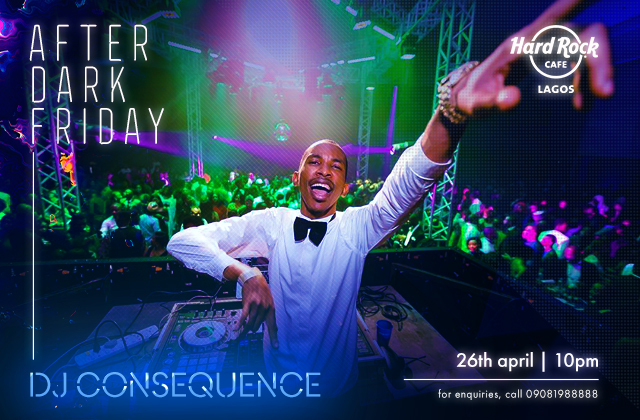 Nightlife lovers, it's After Dark this Friday with DJ Consequence. Entry is free! 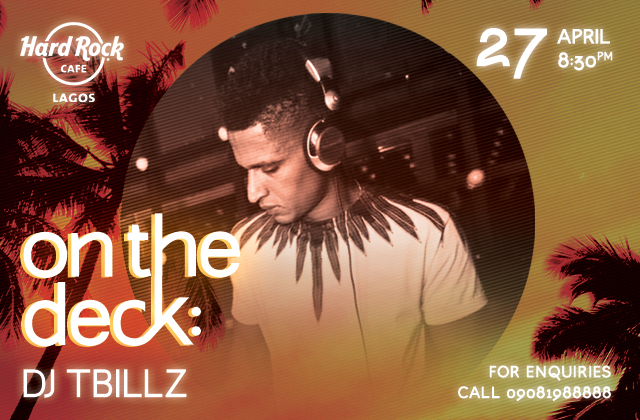 DJ TBillz is heating up the the decks on Saturday!